With our Editor’s propensity for heavy drinking likely to increase as we enter the Christmas season it’s wouldn’t be a stretch of the imagination to call any autobiographical film of his life ‘The Old Man and the Colostomy Bag’ (‘You’re fired!’ – Ed). 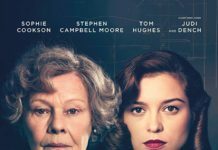 The Old Man and the Gun is purportedly Robert Redford’s last film as an actor though he has recently been keen to step back from this claim. Based on the true story of Forrest Tucker the film starts on 26th July 1981 with him already 70 years of age he calmly walks into a bank disguising himself only with a fake moustache and a hearing aid and asks the cashier to fill a bag with money before calmly leaving but all the time genial, polite and smiling. In his getaway he pauses to help a lone woman Jewel (Sissy Spacek) broken down at the road side and he freely admits to knowing nothing about cars but is a perfect cover to evade the pursuing cop cars as they speed past them. It’s the start of a gentle romance between the two as they chat at a diner and he admits to being a robber something which she disbelieves for almost the whole duration of their relationship yet he still carries on robbing banks in a decidedly lo-fi manner. There’s no shouting, no macho nonsense no brandishing of weapons in the air shooting holes in the ceiling and threatening to kill customers. The only gun he has remains firmly stuck in his jacket with only a glimpse given to the cashiers who duly load up his bag with cash. It’s a world of bank robbery wholly different from today where robbers are unlikely to be bale even to leave the bank before police would arrive. 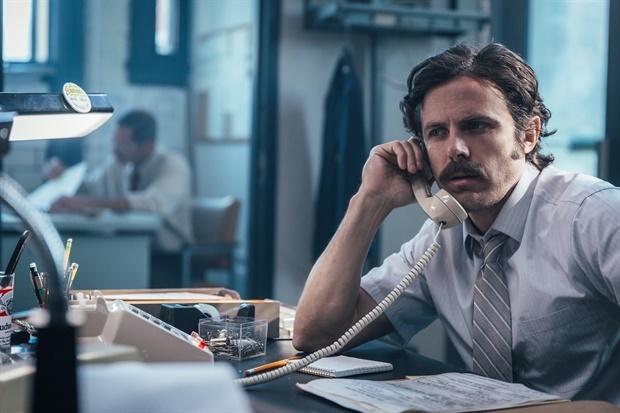 So low key are the robberies that the already world weary yet still dedicated to crime fighting is the detective John Hunt (Casey Affleck) who unwittingly present with one of his children at a bank when its robbed. Despite the low level run of the mill cases he’s assigned it’s only when the old man and the gun start getting reported on TV along with his elderly accomplices a wheezing Teddy (Danny Glover) and a still hip Waller (Tom Waits) as the over the hill gang that he decides to try and catch them with some old school detective work. 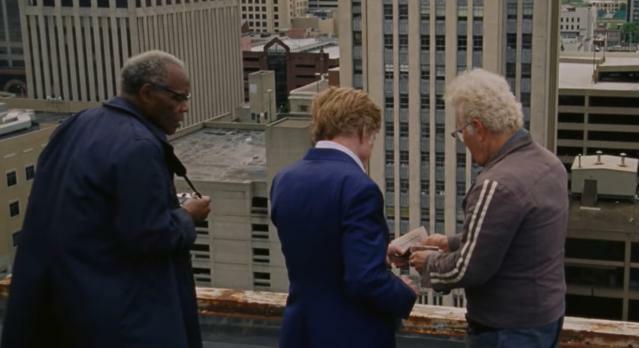 Redford is ideally cast in the role and is as charming and as beguiling as he’s ever been pursued by a world weary cop still dedicated to hunting the bad guys. 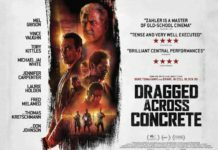 Like a pensioner’s mellow version of De Niro and Pacino in ‘Heat’ this is a robber almost as folk hero and loveable rogue unashamedly romantic in its portrayal of the robber at a turning point where crime of this sort became violent. Beautifully paced alternating between the burgeoning romance and the detective closing in with Tucker’s back story unfolding until the moment when Redford and Affleck come face to face. Much like ‘Heat’ it’s a low key meeting and here, accidental with the detective seeing the funny side of their encounter. Written and directed by David Lowery (Pete’s Dragon) this is well cast with Jewel never really believing what Tucker is until the inevitable and Redford, who at 82 has a face up close that’s like a weathered leather wallet yet bizarrely from afar still retains his youth, is utterly incorrigible and wholly delightful in a role that would be fitting swansong if he does choose to retire. 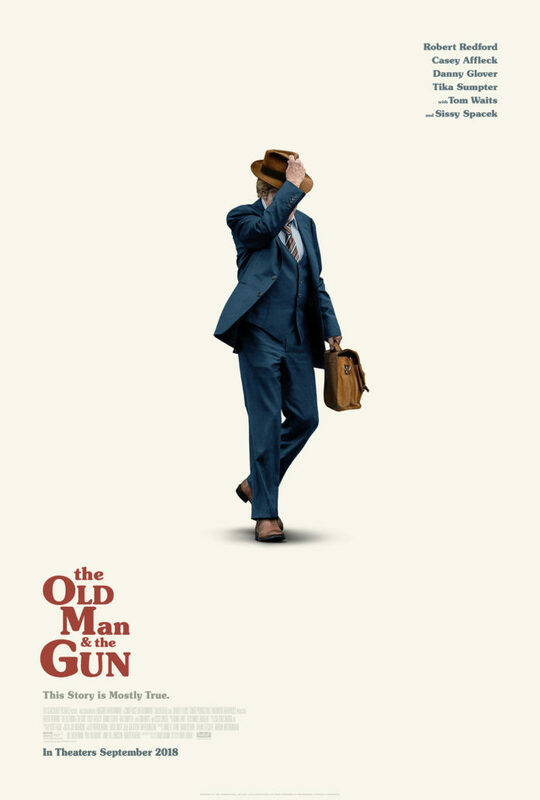 Here the trailer for The Old Man and the Gun……. Is it any wonder Paul Verhoeven gets in trouble?